Wadis, jungles and Loch Ness, various – Wildtrackers – The remote location specialists. Its been a mixed bag of work this year and the usual feast or famine scenario which I am sure is common experience for all and the bane of the self employed. However in saying that what work there has been has been varied starting off with setting up a 4×4 self driving experience for a client in Oman. This was old stomping grounds for the BATT team having set up driving events here before but unfortunately many of the old wadi routes that we had used in the past some which were rarely driven had been destroyed completely by the cyclone of 2007. In fact some areas were unrecognisable such was the damage done including one wadi which according to the GPS was about 5 metres higher than it was when we drove it before!!! This called for a complete re think of the routes to be used and finally after five days we hand built and cleared a route into an lunch area we had used before which was beside a cliff covered in ancient rock art. 80 clients in 25 vehicles enjoyed a days trip in the wilds of Oman driving a route never seen by tourists. From Oman it was off to Dubai for the Middle East press launch of the new Mercedes E Class. Duncan was on board as a technical consultant to look after the vehicle logistics and to recce and establish the on road ride and drive route for the launch. In Dubai this is no easy task being that most of the roads are straight lines with right angle corners and not the easiest of places to find a challenging tarmac test route. In contrast deepest Wales which was the location for the next job was a lot cooler and for once not wet!! This was a top secret one with confidentiality documents having to be signed as it was filming of a prototype Bentley prior to production and release in 2010. Most of the tracking was taking place on small country roads which in in some locations in Wales are so rough they may as well be off road hence why BATT was called in. Utilising the BATT Mk 1 off road tracking vehicle and RAM hydraulic crane system and in conjunction with a Libra3 Stabilised camera head a variety of locations were filmed at all over Northern Wales finishing up at The Great Orme Road at Llandudno. As you can imagine not easy keeping a large shiny new Bentley under wraps, mid summer during good weather and in peak tourist season in Wales!! The Bentley security boys had there hands full trying to keep the car out of sight of prying eyes and camera phones!! Scotland next for the UK Press launch of the new Skoda Yeti. A very capable ’soft roader’ with very good off road capabilities called for a unique location to let the UK journalists experience it prowess both on and off road. After a week of Duncan showing the client round various locations in Scotland the magnificent Aldourie Castle on the banks of Loch Ness near Inverness was selected. Here the beautiful views down the Great Glen coupled with the challenging terrain that the Aldourie estate offered was the venue for the launch. All the vehicles used for the off road element of the launch were shod on road tyres and the very wet hilly terrain of Aldourie was no match for the Skoda Yeti surprising many of the journalist as to what they could achieve in this vehicle including a couple of major dips in the Loch to see if the Yeti could entice Nessie to the surface. Four hard days in the Scottish wet weather and a very challenging and technical course was created which the journalist then experienced behind the wheel accompanied by Duncan, Karl and Gordon. Under their expert guidance the journalists got the full Yeti experience and drove the Yet in and around Loch Ness. Some journalists joined the Skoda Yeti programme straight off the Land Rover Discovery launch in the borders of Scotland and commented on the fact that the Yeti launch was more impressive than the Discovery one bearing in mind the difference in capability between the two vehicles and what they had just driven the Yeti through. A great complement to Duncan and his team as well as to Skoda. Next stop was China for where Duncan was working as a consultant to Mercedes Benz China on their first ever SUV launch to the Chinese press. Using all four SUVs in their line up Duncan was responsible for designing 3 off road courses to put the vehicles and the press through their paces. The region chosen for the event was in the Guilin prefecture of China famous for its limestone Karsts and the Comorants that the locals used to fish with. We were based at the HOMA Hotel which is a unique location that is a homage to Modern Art and very unusual one within China. However the area for the off road routes was to provide a huge challange being that it was either too flat being farmland, or too rocky and hilly but this is what had been chosen by the client and was what Duncan had to work with. Working with local labour and machines the three routes were created. Two of these were for the GLK, GL and ML classes of vehicle and were to be driven by the local press whilst the third was for the awesome G55 Wagon which was a extreme demonstration route that the journalist were driven over. This route was the most challenging to build being that there was the small issue of a 10 metre cliff in the way, an old water buffalo cart track which was not wide enough for the G Wagon in places and a very rough and rocky trail over a pass to overcome. Ten days of working with a local team helped by the ritual sacrifice of a chicken and few hundred fire crackers let off obviously helped and just before the event started the trails were completed. 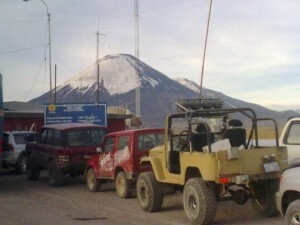 So from China to South America supporting a Top Gear shoot from an expedition and off road perspective. The program due to air later in the year was supported by Barbour All Terrain Tracking Ltd who supplied an expedition consultancy service with regard to the off road element of the show that Top Gear wanted to shoot. Bob Ives from BATT Ltd accompanied Top Gear production on their location recce and advised them as to what was and wasn’t possible with the vehicles to be used by the presenters. The vehicles to be used due to their age required a lot of mechanical work and parts to bring them up to a safe standard before the presenters could use them which was done locally in a workshop prior to the shoot. The team of local mechanics who did this was led by Karl Trunk of BATT Ltd who was brought on board as expedition mechanic and to support Bob on the 4×4 front as well. 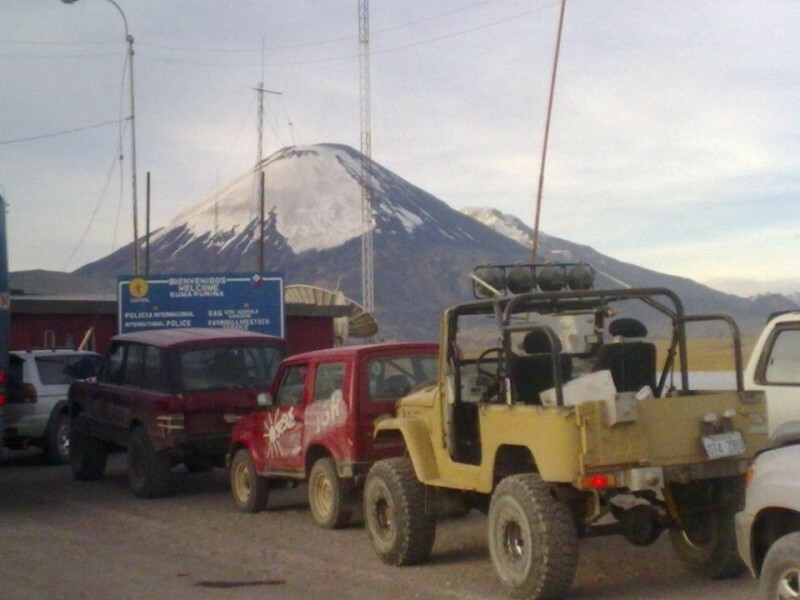 Bob and Karl who have had many years of Off Road experience all around the globe including a host of Camel Trophy expeditions had their work cut out keeping the hero and support vehicles on the road in a variety of locations from jungle to altiplano to desert. Working closely with Top Gear production and their suppliers Duncan and Bob assisted them on all the vehicle requirements for the shoot including routes, route timings, equipment, safety and off road driving techniques and ideas for some of the content based on their previous of road experiences. Look out for the show on the 27th December BBC 2 at 1945 hrs.